UFC 142 Aldo vs Mendes Fight Pick and Preview | MMA Fighting Events Videos Techniques UFC Fight Picks and News. This Saturday, January 14, the UFC (Ultimate Fighting Championship) takes the Major Leagues, the NFL, the NBA of MMA (Mixed Martial Arts) down south to Rio, Brazil for UFC 142. 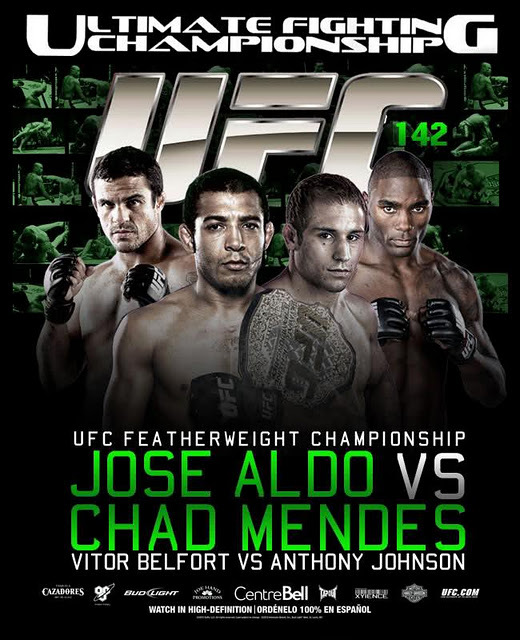 Headlining UFC 142 will be a featherweight championship fight between the current champion Jose Aldo and undefeated challenger Chad Mendes. Here's a quick preview and my fight pick for Aldo vs. Mendes. Jose Aldo is the UFC featherweight champion and has compiled an awesome record of 20-1 on his way up the ranks. His stand up is his bread and butter. Leg kicks are one of his best weapons and he uses those leg chingasos to set up the rest of his game. Chad Mendes is coming into this UFC title fight undefeated with a record of 11-0. Wrestling is his bread and butter and he's used it consistently to takedown fighters and grind out wins. His stand up is ever improving and he's shown he can stand and bang, but will score takedowns relentlessly. Jose Aldo vs. Chad Mendes is going to come down to who can implement their fight strategy the best. If Aldo can keep the fight standing and deliver those devastating leg kicks without being taken down, he will be on his way to another UFC title defense. Unfortunately for Aldo, Chad Mendes has a strong wrestling background and will nullify Aldo's best weapon, his kicks, by scoring takedowns. If Mendes can do some damage with ground and pound once he scores the takedown, he will be on his way to a victory and to wrapping the UFC featherweight belt around his waist. My fight pick for this match up is Chad Mendes, his strength, wrestling, is the kryptonite of of a fighter that utilizes kicks. We've seen this happen before in the UFC, where a fighter fears the takedown so much, that they abandon kicks as a striking weapon. Early in the fight, Aldo will be able to stuff the takedown attempts from Mendes, but as the fight goes on, look for Mendes to find more and more openings for a takedown. While Also's stand up is much better, Mendes will hang in there long enough to utilize his takedowns and score on the ground. There you have it! 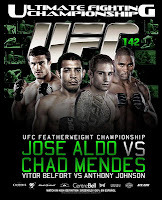 My fight pick for Aldo vs Mendes at UFC 142. Do you agree? 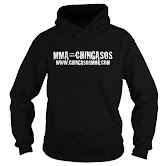 Check out the UFC promo video for UFC 142; Countdown to UFC Rio: Aldo vs Mendes.